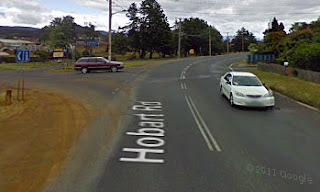 The Hobart Rd/Glebe Rd junction on the outskirts of New Norfolk. PRELIMINARY works started on Friday for a six-week roadworks project that will see a sliplane constructed at the junction of the Lyell Highway (Hobart Rd) and Glebe Rd in New Norfolk. A reduced speed limit is in place between the town boundary and Ring Rd and traffic disruptions may occur. Construction of the sliplane is understood to be a requirement of the planning approval granted to the developers of the Gateway Estate subdivision before further stages will be approved. 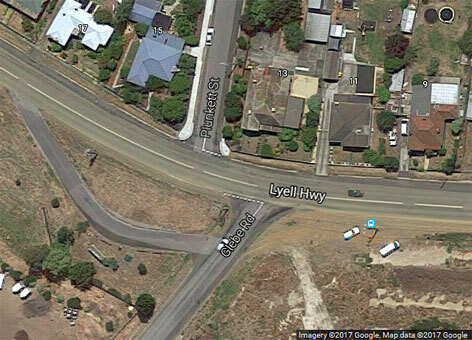 The roadworks will take place at the corner of Glebe Rd and Hobart Rd (Lyell Hwy).